1) Know someone (or yourself!) who loves scarves? Live FashionABLE scarves provide jobs for Ethiopian women who were once exploited because they were in poverty (click here to learn more about FashionABLE or here to read their stories). Buying these scarves helps give them a sustainable job + skills and keeps them off the streets. I have the SABA Infinity scarf and love it! 2) Don't you love these earrings? They are definitely on my list! I've talked about Noonday Collection before, and I truly think they are an amazing organization. Plus, they've got lots of wonderful goodies! 4) Isn't this necklace from International Sanctuary stunning? These necklaces were made by survivors of human trafficking. Click here to learn more about this organization or to shop! 5) Need a gift idea for someone who has everything? Get them a gift card for Global Giving. They can then visit the site and put that gift towards an organization/cause that they are passionate about. So cool! 6) Isn't this hat adorable? Krochet Kids is an organization that helps create sustainable business and help people rise out of poverty. You can learn more about them here or see more of their cozy products here! 7) I've talked about Just Love Coffee Roasters before and that's because I love their mission and their fair-trade coffee! If you know a coffee-lover (or are one yourself), this would make a great gift! They give to adopting families, non-profits, and the arts. Click here to learn more! Or go here to see all their blends. 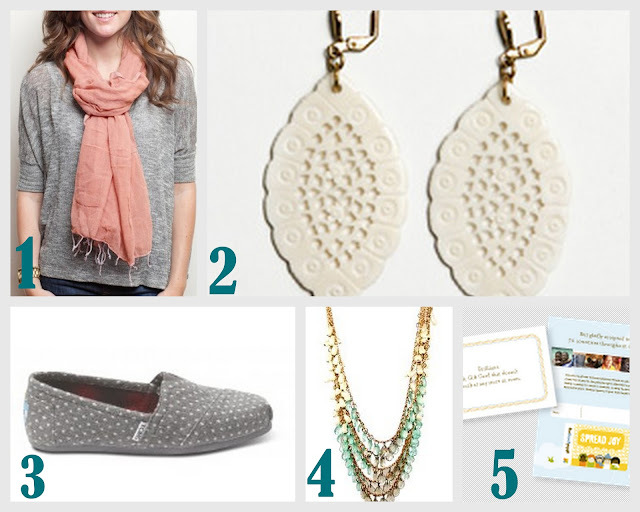 8) Could it get any cuter than gifting someone (maybe someone with everything!) a set of chickens or a goat? World Vision has a whole gift guide full of life-changing gifts. 9) Isn't this clutch adorable? Better Life Bags is a shop dedicated to hiring local ladies who otherwise cannot get a job along with giving 10% of each sale to an entrepreneur in a developing country. You can create your own design and have a fully customizable item just for you or for someone you love! 10) Know someone who loves a glass of wine? Check out One Hope Wines. For example, buy this bottle of wine and part of your purchase goes toward Breast Cancer research. What a fun and unique gift idea! 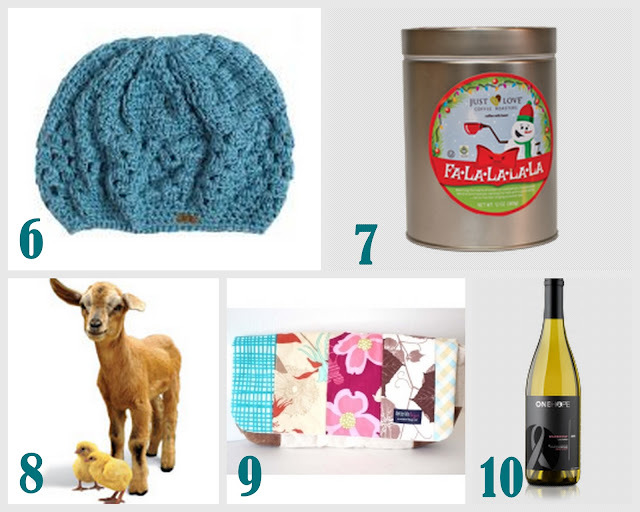 I hope this gift guide gave you some ideas for places to shop with purpose! we were on the same wave length!!!! I love it! !